From teachers, mailmen, neighbors and friends; everyone appreciates a little something sweet and thoughtful during the holidays. 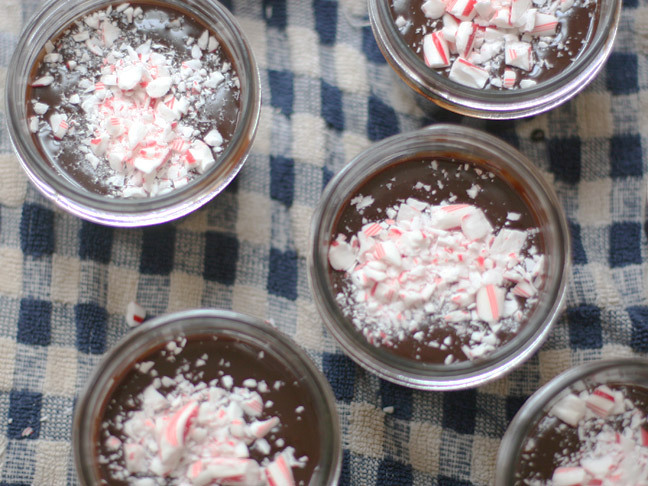 Here’s a delicious twist on something everyone loves: Peppermint Hot Fudge to top festive ice cream sundaes. Melt cream, butter and corn syrup together in a saucepan until just barely boiling. 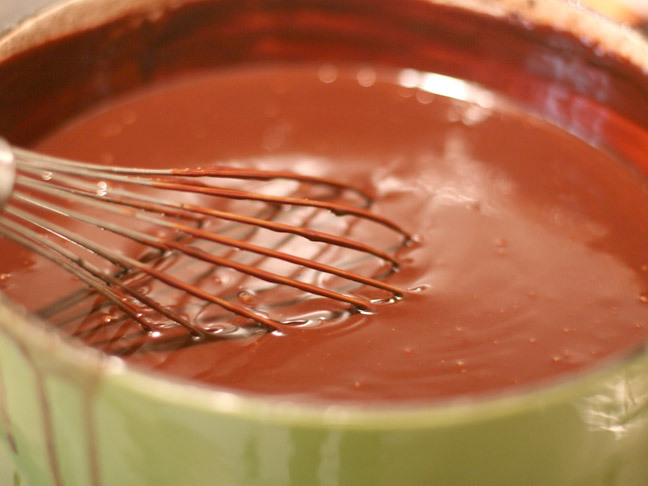 When melted, remove from heat and add the chocolate and peppermint, stirring until melted. Cool to lukewarm. These 8 oz. 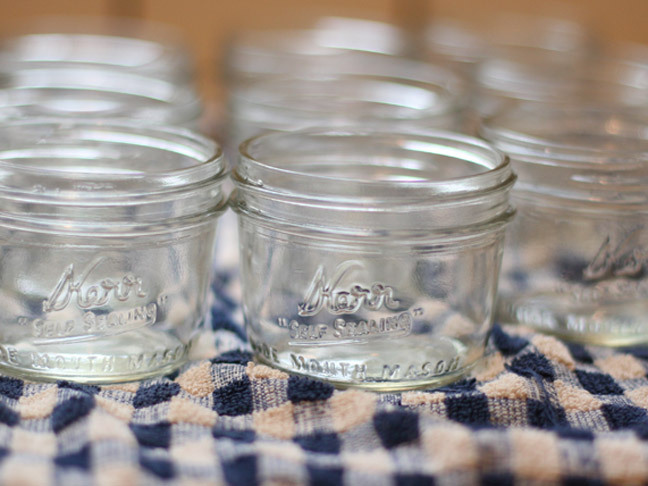 half-pint mason jars are the perfect size for sauces. I bought a flat of 12 for my neighbor gifts which cost me about $12 at my local hardware store. 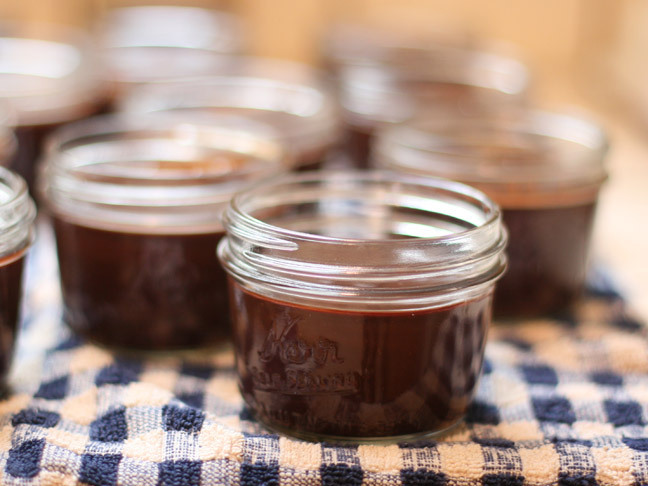 Fill up with warm fudge leaving about ½ inch room at the top. Top with crushed candy canes. They shouldn’t sink if you’ve cooled down the fudge enough. 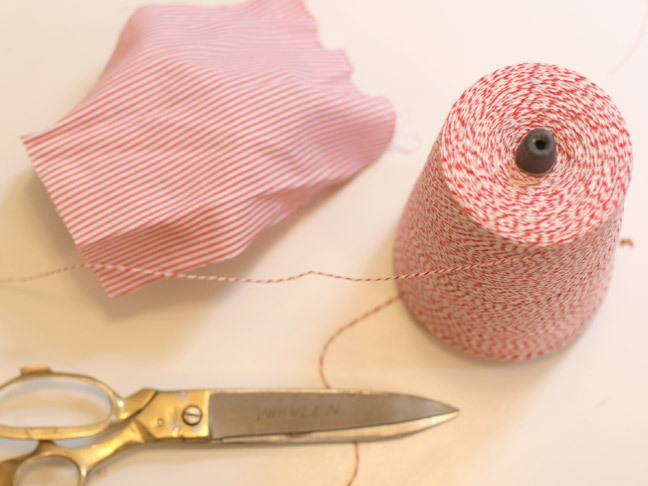 Cut squares of festive fabric about 1 inch wider around than your mason jar lids. 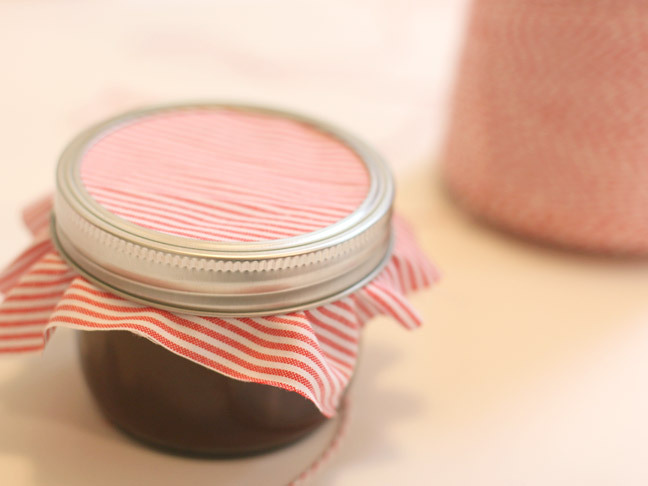 Place snap (seal piece) on the lid, then fabric, then top with the screw band (the part of the lid that screws on and off). 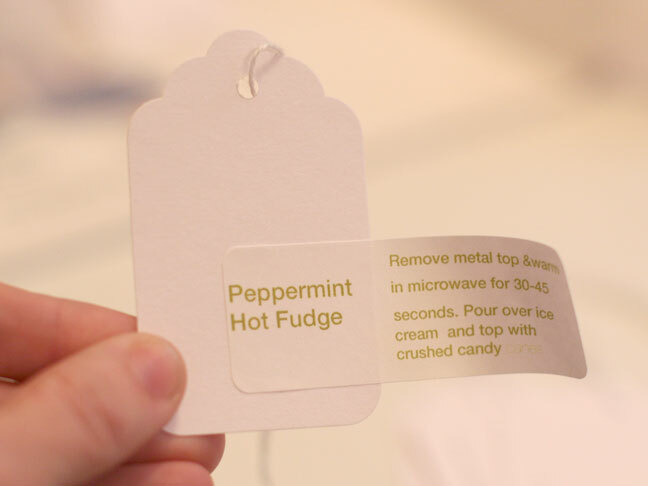 I printed descriptions on address labels and wrapped them around the side of simple tags. 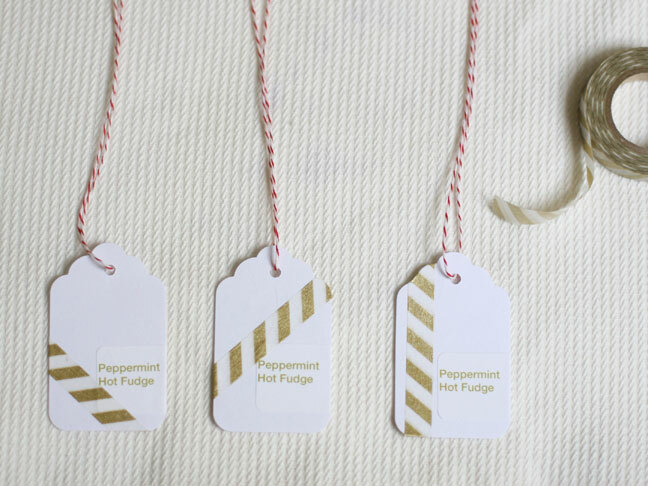 Use decorative tape, like Japanese masking tape, or stickers to decorative your tags. 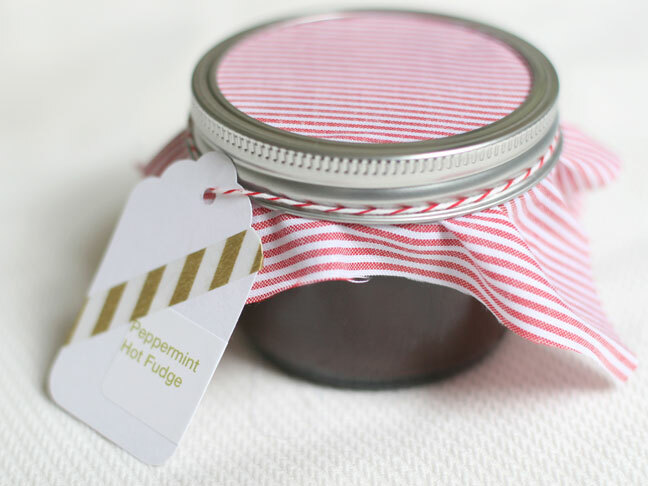 Attach the tag with string or baker’s twine to your jar and give to friends, neighbors, family for a warm holiday treat on their ice cream.